If your watch doesn’t work after changing the battery or it doesn’t keep correct time, that means the movement of your watch needs repairing. Regardless what the problem is, our experienced watchmakers are here to investigate your watch movement, diagnose the problems and will be happy to give you their expert advice. Upon their investigations, if the verdict of our watchmakers is that it is financially advisable repairing the movement of your watch, then we will quote an estimate price and the lead time for the repair. Only after your confirmation, we will proceed with the repair. We are proud to offer watch movement repair service in-house to our customers in London. 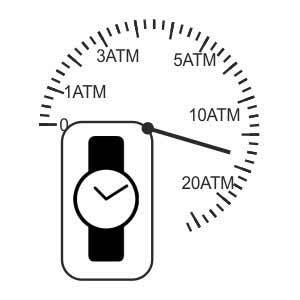 The working principles of a quartz watch are very straightforward. The battery powers the circuit which is connected to a quartz crystal. Power makes quartz crystal oscillate (32,768 times per second), then the microchip circuit detects these oscillations and turns them into regular electric pulses. These constant electric pulses drive the stepping motor which drives the second, minute and hour hands. So there are few things might be wrong with your mechanism. Worn and broken wheels etc. Malfunctioning in the circuit, quartz crystal, microchip, broken connections. 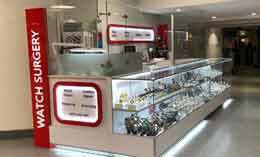 We can repair quartz, mechanical, wind up, automatic watches. Here at Watch Surgery, we pride ourselves on having a close relationship with our customers and providing them with a very personal service, at every stage of the repair and service process. We think that good communication is vital as part of good quality service, without third parties. 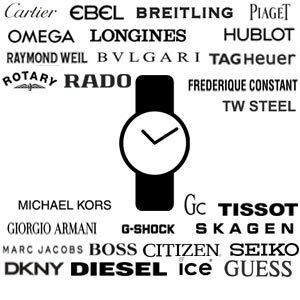 The watchmaker who will be repairing your watch will be the same person in direct contact with you. Guarantee:For your peace of mind, Watch surgery gives one year guarantee for servicing and the parts we replaced with your proof of purchase. This guarantee excludes; damage by misuse, rust, condensation or water penetration.